In the aftermath of Milo’s war against Twitter, it’s important to note that other major Social Media outlets have caved to the craven, perpetually-offended SJWs. Remember that SJWs can actively call for the death of Right-wingers, and it is not considered a violation of policy. Right-wingers, on the other hand, need only state their views in a polite and professional manner to be struck down by the paladins of Social Justice. Merely saying a person is misinformed is a violation of community standards, and requires a 30-day suspension. 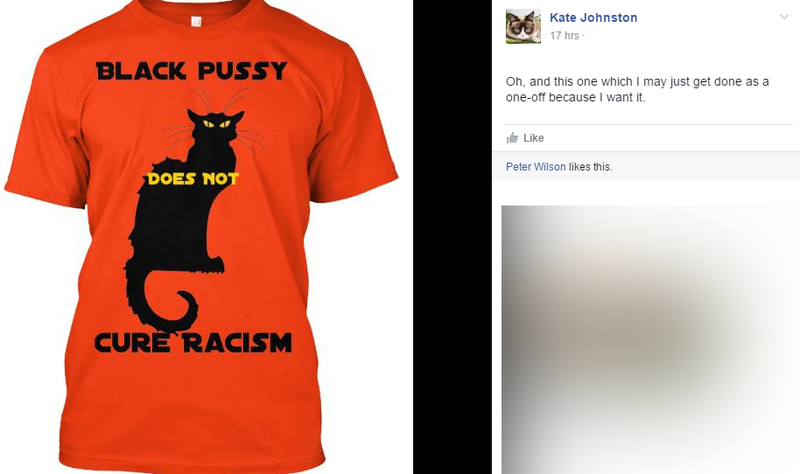 This is considered perfectly acceptable to Facebook’s community standards. These two posts happened within a relatively short window of time, so Facebook’s terms of service have not appreciably changed during the interval. So what does this mean? It means that if you post anything critical of a Leftist, you could be suspended, banned, unverified, or have your profile deleted, depending on the Social Media platform in question. It also means that Facebook is full of SJWs, and they are on the war path. Still think I’m crazy? Take a look at this article from the NY Post. The double standard is clearly evident here, also. One page is wrongthink, and the other is goodthink. Facebook is Big Brother. Orwell was right. Before you think I’m cherry-picking this, consider that both of the screenshots above were sourced from people I know personally. This means that censorship and double-standards aren’t some far away, theoretical discussion. They are very real, and present in my own Social Media world. Well, C.J. Pearson has had his Facebook account locked for his criticism. He isn’t the first. Rumors that Facebook routinely suspends conservative groups’ and individuals’ pages have persisted for some time now. Just recently, yet another account created by the pro-veteran website “Uncle Sam’s Misguided Children” was suspended by Facebook because the owner shared a meme critical of Muslims. Poe’s Law may be in force here. Nonetheless, why wasn’t this garbage removed? And it proves equally unwilling to take down offensive, violent, and disgusting material, so long as it originates from a Leftist source. I can’t tell you to stop using Facebook. And there are corners of it that have not yet been invaded by SJWs — mostly closed, private groups. But you should understand that like Twitter’s removal of the #Gamergate hashtag from the easy-hint menu on your Tweets, there is a subtle, yet omnipresent attempt to change the narrative. This isn’t a conspiracy theory. This isn’t tinfoilism. It’s real, it’s pervasive, and well-documented. The two express the same phenomenon. The need for right wing social media are staring us in the face. When is that need going to be filled? Wouldn’t really be a profitable venture; we’re too busy working and/or raising a family so we don’t have time to tell everyone what we did 10 minutes ago. Self-refuting statement, Sean: Advertisers seek out a user base that is “working and/or raising a family.” Here’s hoping some young right-wing entrepreneur “gets it.” I’m certainly ready to bolt. There are a few barriers here. First, the Left claims to be neutral. Naturally, we know that they are not. But a great many people still *THINK* they are. Leftists have no reason to assume otherwise, and would regard the evidence above as a tinfoil hat thing. Many apolitical folks, moderates, and a good many Right wingers are oblivious, also. So they use the service without reservation. And since the purpose is to stay connected with friends, family, etc… so long as *most* people are on the service, and those of us with reservations nonetheless still use it to connect with those people, Facebook remains dominant. Any Conservative option would categorically push away Liberal, moderate and apolitical people we know. Thus the project would fail. There have been Conservative attempts to do this already. The fact that you haven’t heard of them is testament to how ineffective these attempts were. I don’t know what the solution is, at this point. With the Left in solid control of the media, education, government, culture, and Social Media breaking their stranglehold is going to be a long, complex, and hard-fought battle. Simply creating a Conservative Facebook won’t do the trick. We need a major culture shift. Dystopic, in other words, “lock-in” has occurred (this is how Windows became dominant at the dawn of the PC revolution). However, I do not advocate creating a “conservative Facebook” or “right wing social media” per se. I suggest creating and pushing new social media platforms to challenge Facebook and Twitter based specifically on the a policy of “no thought control and no limitations on freedom of speech”, and explicitly attacking the thought-controllers at Facebook & Twitter. Conceivably such platforms could draw from the entire ideological spectrum, not just conservatives and right-wingers. Leaving the SJW’s and other social fascists all by themselves at their old platforms. Give me an alternative, Anything, and I’m gone from Facebook. Already cancelled Twitter. Explicitly non-SJW alternatives, please Soonest, if not NOW. I have loaded Facebook with dozens of fake profiles because of how SJWs banned me. I suspect Facebook demographics are about 70% fake. It would be interesting if someone sued Facebook or Twitter to test the premise that if we can force a baker in private business to deliver his products and services even if it communicates content he disagrees with, why private businesses Twitter and Facebook can’t be forced to do the same with their products and services. snelson134, that would work only if you’re black, homosexual (not that there’s anything wrong with that), a Moslem, or a member of some other politically favored group. And even then only if you whine and complain based on your self-enforced otherness (i.e. blacks don’t have to act bad; they can be oreos; and homosexuals don’t have to flame; even Moslems aren’t forced to to act like savages…I mean, even they can try to act civilized). Indeed. Only sacred victim classes are allowed this. I remember this video which demonstrated that Islamic-owned bakeries weren’t interested in baking cakes for gay weddings, either. But, naturally, nobody on the Left cares about this, as Islam is a sacred victim group. Only Christians can be penalized this way. Sorry, but why did you think facebook wants you to fill in your real name and identify yourself to the site? 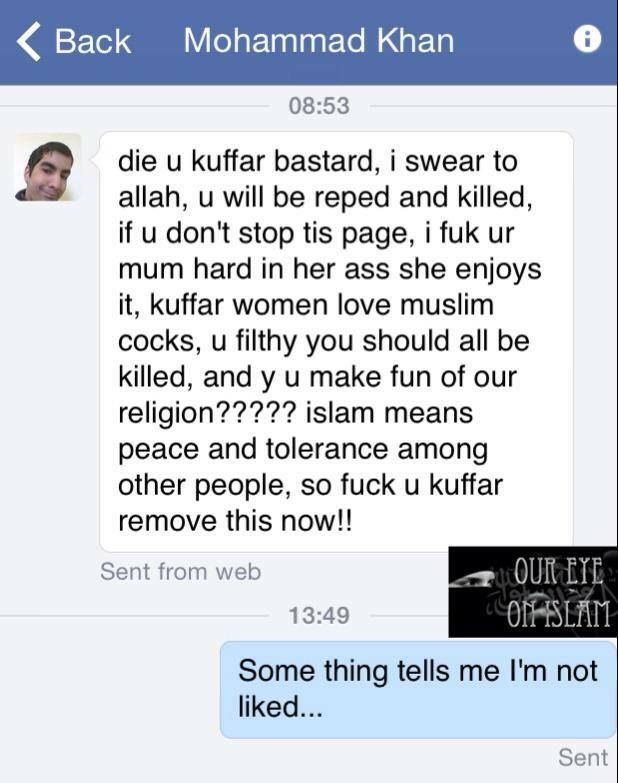 People get prosecuted for what they say on facebook already. 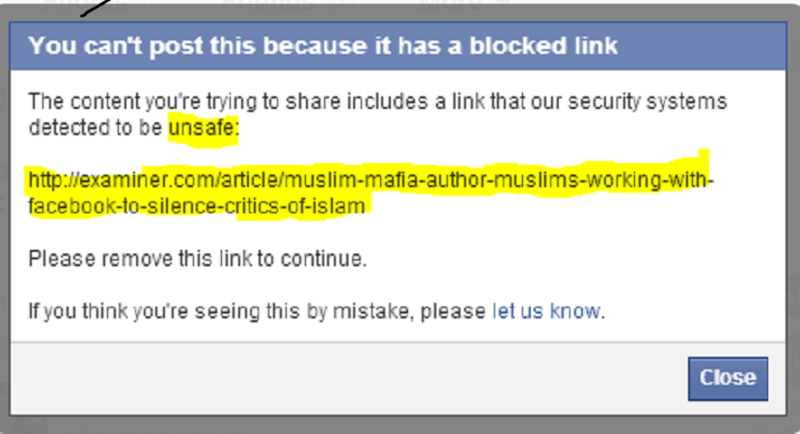 I’ve put up quite a few links to articles reporting Muslims acting up and have not had any trouble from Facebook. Maybe it’s because I’ve avoided provocative, abusive language like “woefully” and “misinformed”. Yes, it’s pretty clear that people who use provocative, dangerous words—like “woefully” and “misinformed”—do need to be silenced. For the good of society…. Just to be clear, which I wasn’t above, my sarcasm is entirely aimed at Facebook.